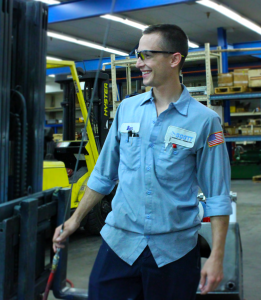 Since early 2013, Ben Anspaugh has been a valued employee at Scott Industrial Systems. While on the job, he can be found in the shop assembling power units and cracking jokes with the rest of our service and repair team. 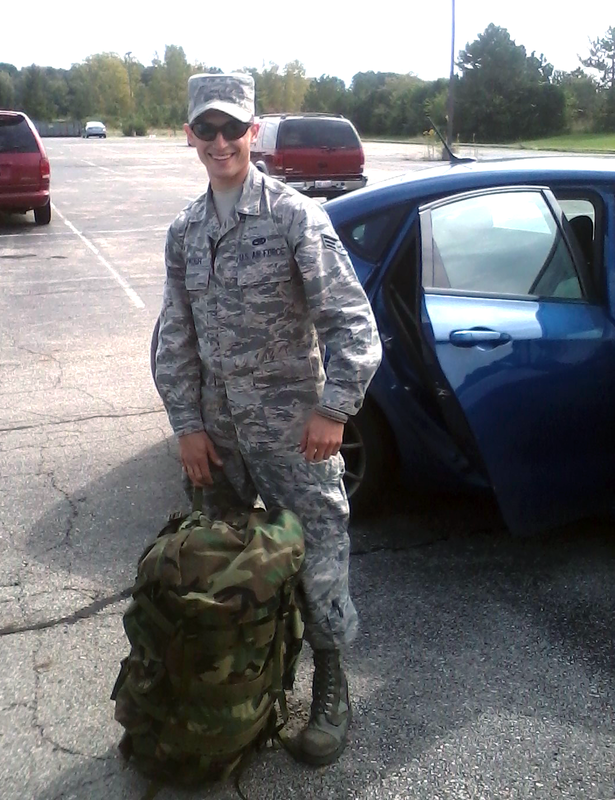 A life-long Dayton resident, Ben came to our company after 4 years as an active member of the U.S. Air Force. He is currently a Senior Airman in the Air Force Reserves. During his time in active service, Ben repaired aircraft in Ohio, Texas, Illinois, and Arizona. As a Crew Chief, a lot rode on his mechanical expertise. “We’re responsible for the aircraft. Anything that has to do with the airplane, that’s our responsibility. We have to get it off the ground. […] We have a phrase called, “If it turns, burns, banks and rolls, the Crew Chief made it happen””. Ben sees a lot of transferable skills between repairing airplanes and creating hydraulic systems. His experience in reading hydraulic and electric schematics enabled him to make a smooth transition from the Air Force to working at Scott Industrial Systems. Since starting here, he also has been able to apply his responsibilities into his Reserve Service. 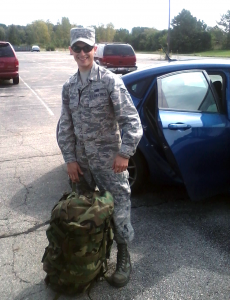 Starting this week, Anspaugh has been called back to active duty for the Air Force. It is the first time this has occurred in his tenure here. The company will miss his skill and hard work, but he is grateful for the chance to help his country. Scott Industrial Systems is proud of Ben and other members of our team who have served in different branches of the United States Armed Forces. This entry was posted in Employee Bios, Scott Industrial Systems, Scott Stories and tagged Air Force, Scott Industrial Systems, US Armed Services, Wright Patterson AFB. Bookmark the permalink.